DISCOVER WHY YOUR NEXT VACATION - NEEDS TO BE IN BELIZE! FOR MORE INFORMATION ON BELIZE! (10) Incredible things to see, do & experience - an ecological Disney World for tourists and guests. Cultural diversity, a culinary buffet, a magic kingdom, right at your fingertips. Visit and see the famous Blue Hole discovered by Jacques Cousteau 1972. Come experience wall diving, canyon diving, snorkeling, sailing, deep sea fishing, reef fishing, zip lining jungle tree tops, cave tubing, horseback riding, waterfalls, jungle dirt bikes, Mayan ruins/caves, and the Belize Zoo! If you haven't experienced Belize, then what's holding you back? Book your tour, golf cart, cell phone or island air transfers with Black Orchid and receive 10% off these services. Click Here to see the Best of Belize! Visit Trent's Blog and read about all his Belize adventures, to include a wonderful series on jungle & rain forest animals. Click on Trent's picture to see his blog. 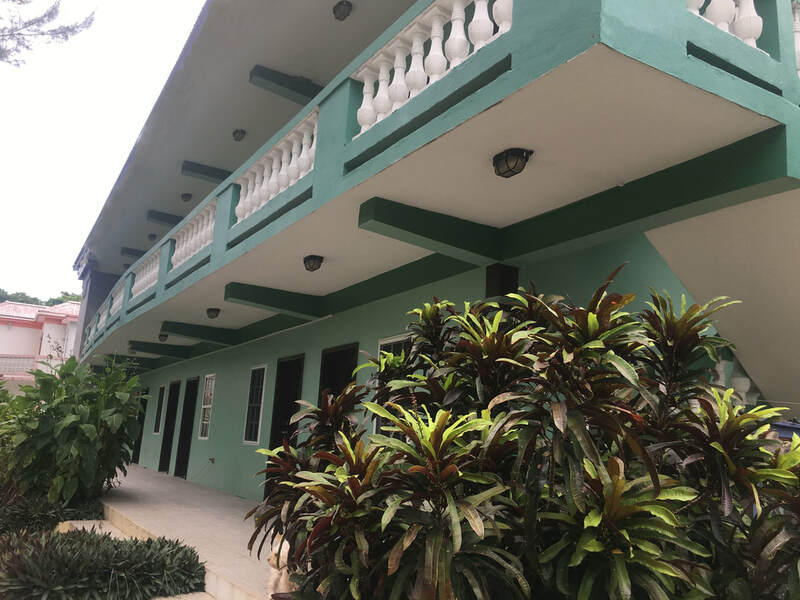 Visit Christina's Blog and read all about her Belize adventures, to include a wonderful series on Flowers of Belize and her new series on Trees of Belize. Click on Christina's picture to see her blog. Visit Lauren's Blog and read all about her Belize adventures, to include a wonderful series on "Belize Butterflies". Click on Lauren's picture to see her blog. Visit Ms. Daisy's Blog and read all about cooking Belize cuisine. Everything from Stewed Chicken, rice & beans, to Monkey River Mud pie. Click on Daisy's picture to see her blog. Click on San Pedro Weather Live for more information. How do I use this Web-Site? 1. Is your passion scuba diving, snorkeling, or fishing? 2. Are you the adventurous type, & want to explore Mayan ruins and caves? 3. Are you looking for a jungle, rain forest experience? 4. Are you a family, looking for something to do as group - for all different ages? 5. Is this your honeymoon or anniversary? 6. If so, do you want a relaxing time together OR something action packed? 7. Is your heart with planet earth, are you looking to experience mother nature? 8. Is your trip to Belize, just to get away and relax? Once you've identified what you enjoy doing the most, go to the sub-categories under "Vacation Packages" and select the drop down menu that best describes your answer. Then look for the vacation that includes the things you want to do. We're confident that you will find something in each category that interests you. All vacation packages in that category, have been designed with an emphasis placed on that desired activity. So if for example, scuba diving is your thing, select a vacation package from the list of scuba diving adventures. Take time to read through the various tour descriptions listed in the drop down menu under "Vacation Packages". Also remember, that if you don't see something, that is exactly what you are looking for, simply contact us. Tell us exactly what you' would like to do, and we'll custom design a package that just right for you. All vacation packages have been designed based on the average "stay" in Belize of 7 days & 6 nights. If you are interested in staying longer, perhaps two weeks or more, (even an extended stay), simply contact our office and let us know. We can include any excursions you see that interest you. How about an exciting twilight night dive, or a full day catamaran sail to the Blue Hole, where you can dive and see stalactites the size of trees? How about zipping through the jungle tree tops on a zip line and feeling the wind ripping through your hair, as Howler Monkeys cheer you on? Not to mention, we have some of the best snorkeling available in the entire world, right here at your fingertips. There is wall diving, canyon diving, reef diving, Belize Zoo and manatee watches for the entire family. There is cave tubing, reef fishing, flat fishing, tarpon fishing (where you can catch fish the size of your 5 year old son). You can explore and canoe secluded caves, learn about wild baboons, jaguars, and explore ancient Mayan ruins. You may even get the privilege of swimming with nurse sharks, giant sea turtles, sting rays, spotted eagle rays, and maybe even witness dolphins during your stay. So put the briefcase down and book your adventure today!